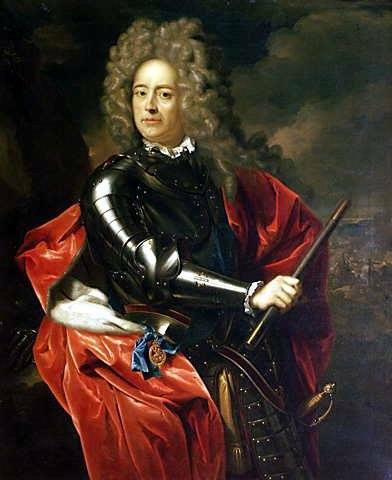 After the memorable march of Marlborough’s army he learnt that Bavarian troops were fortifying the formidable heights of the Schellenberg near the Danube. He decided on an immediate assault. The leading troops were repulsed but three battalions, including the 23rd, resolutely stood their ground and beat off the enemy counter-attack and saved the day. The RWF suffered nearly 250 casualties.